Bluegrass, Appalachian fiddling, Tin Pan Alley, Delta blues, and cowboy music come together at last. The Brain Cloud plays music loosely described as western swing, and draws its inspiration from the fearless smashing-together of genres including jazz, bluegrass, Appalachian old-time fiddling, Tin Pan Alley, early country, Mississippi Delta blues, and western cowboy songs. 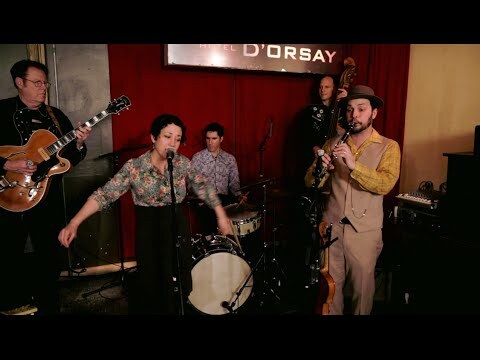 Live shows are where the band excels, with vocalist Tamar Korn’s voice, reminiscent of an old 78 rpm record, bringing lively spirit and improvisational freedom to each song. And Lichtman, equally at home on mandolin, fiddle, and clarinet, leads the band in a way that keeps the audience excited to see what’s coming next. That is, if they haven’t already left their seats to dance.